How so? With Predictive Decisions, marketers can now harness the power of data science to analyze customer engagement and -deliver new recommended content, products or offers to customers, creating highly personalized journeys across channels at scale. 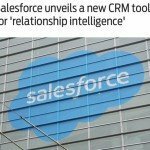 Salesforce Marketing Cloud fuses CRM and marketing data with relevant contextual data such as web browsing activity, using native predictive intelligence decisions to increase conversions and engagement in a single, easy-to-use application. In today’s data-rich world, marketers have ample access to customer engagement information, but it’s nearly impossible to deliver personalized content to every customer and connect interactions across the entire journey. 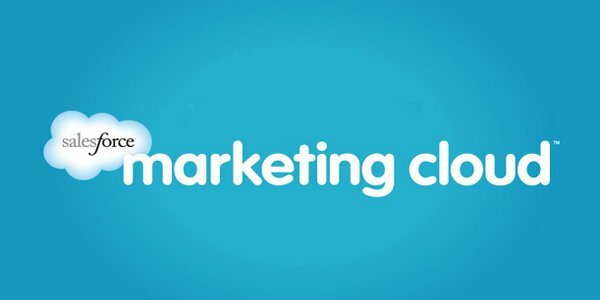 In fact, 36 percent of marketers struggle to apply customer insights to continually improve customer experiences and 42 percent say they have difficulty analyzing data from all customer interactions, according to the August 2014 commissioned study, Refresh Your Approach to 1:1 Marketing, a study conducted by Forrester Consulting on behalf of Salesforce Marketing Cloud. With Predictive Decisions, marketers will be able to harness data science and scale personalized campaign execution across marketing, resulting in an experience that surprises and delights customers. They will also be able to create intelligent programs that move beyond contextual engagement to predictive marketing, using integrated cross-channel data with new workflow and automation. Predictive Decisions will constantly update anonymous and known customer profiles so marketers can understand preferences. It will also leverage sophisticated algorithms to make predictions about the next best content, product or offer and automate its delivery to increase conversions and engagement. Collect Beacon: Stream real-time content updates and user behavior data directly into the platform to constantly update user profiles and enable predictive decisions. A marketer can make the most of customer data to build tailored communications across channels, including email, web, mobile and any device. Now digital marketers will be able to move beyond just predictive product recommendations on their website, and expand predictive decisions to every piece of content, from a whitepaper to a new video. New Workflow and Automation: Trigger marketing campaigns using data from all channels. Customer behavioral data is fed automatically into the Marketing Cloud platform, in real-time, to deliver communications that are timely and highly relevant. This levels the playing field, so any marketer can create powerful predictive campaigns without enlisting additional development resources to make data actionable. Native Predictive Decisions: Predict which content will result in the highest conversion—whether that’s an offer, product, or graphic content. Drag and drop predictive content recommendations empower marketers with content modules that can be delivered in real-time across marketing channels, making each message tailored to the individual and the moment. For example, a retail marketer can now create email campaigns that include not only the previous items viewed by the customer, but also recommend the most relevant next piece of content across the retailer’s entire product catalogue in real-time, with just a few clicks. 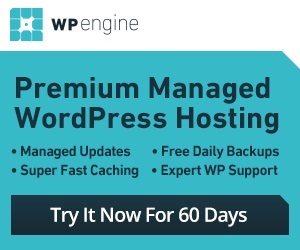 The Marketing Cloud is the world’s #1 marketing application. It enables marketers to build a single view of the customer, plan and optimize the journey, deliver personalized content on every channels and device and measure the impact on their business. Leading global brands like Diesel, Room & Board and DonorsChoose.org harness the Marketing Cloud to connect with customers in a whole new way. 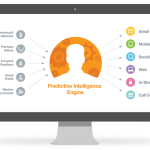 Predictive Decisions in the Salesforce Marketing Cloud will be available in May 2015. New Predictive Decision features will be available in the Marketing Cloud Pro Edition or greater. Pro Edition pricing starts at $1,250/month.